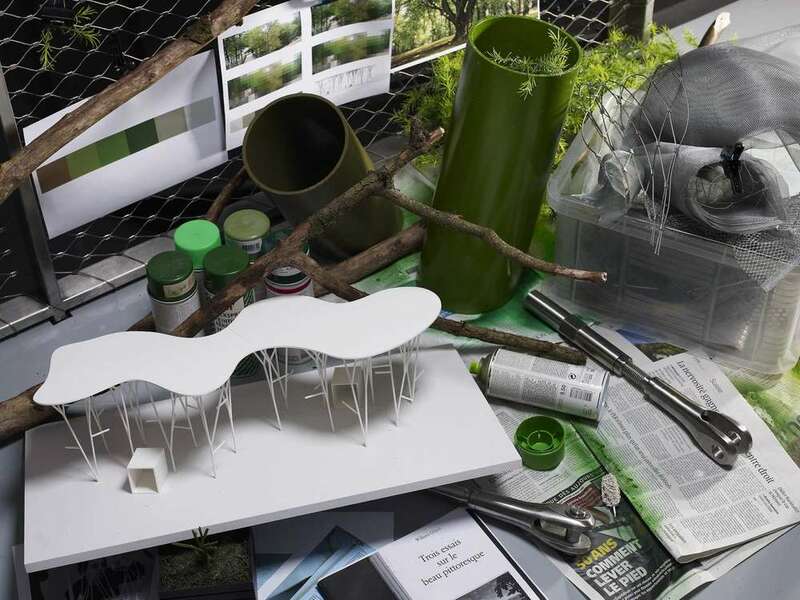 The project for a new aviary at Bois-de-la Bâtie was the opportunity to examine a specific programme: a provisional habitat for anatidae (family of aquatic birds). 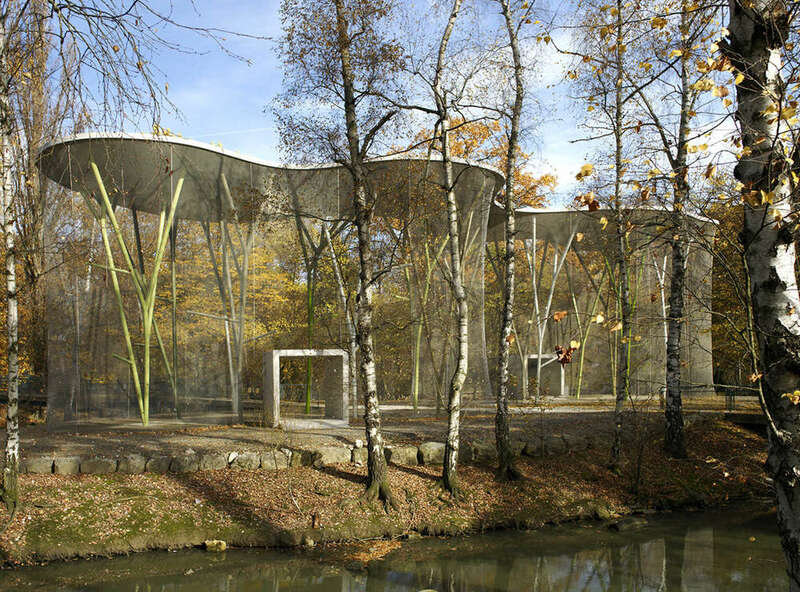 The architects explored different avenues taking into account, for instance, sensitive integration into the site and the creation of a specific habitat for the bipeds occupying the aviaries. 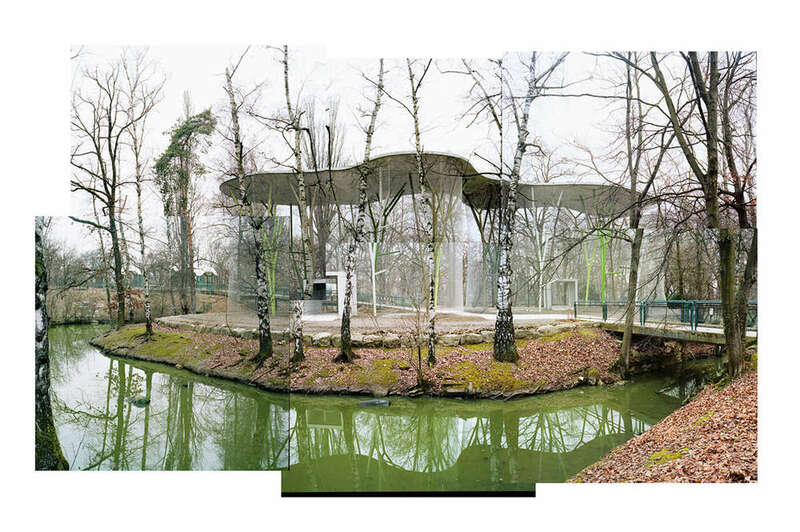 With the aim of prompting rethinking of the park as a whole, the decision was taken to create a single roof joining the two aviaries making it the new entrance to the park. 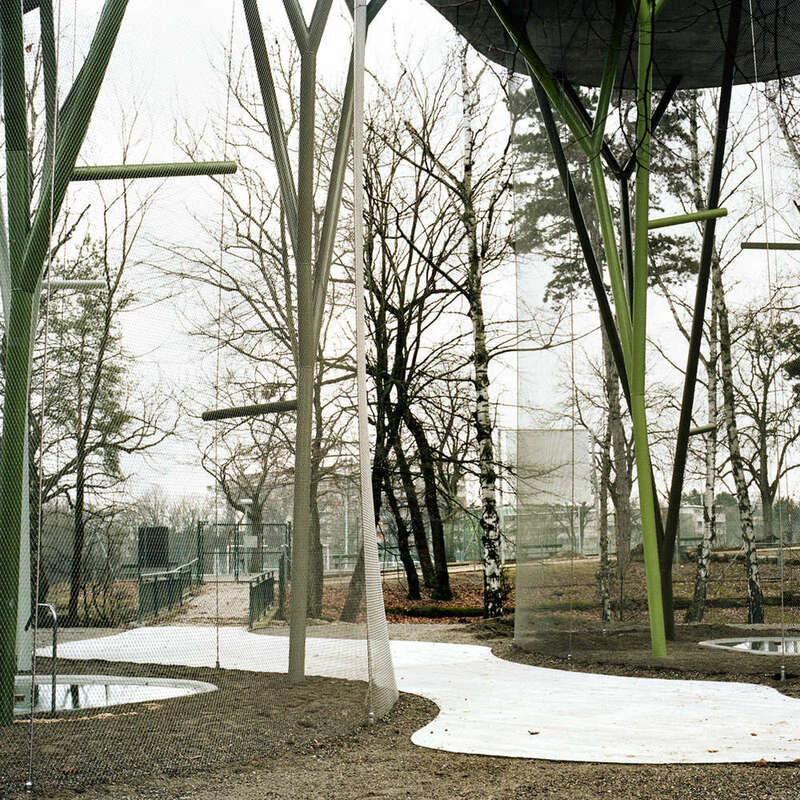 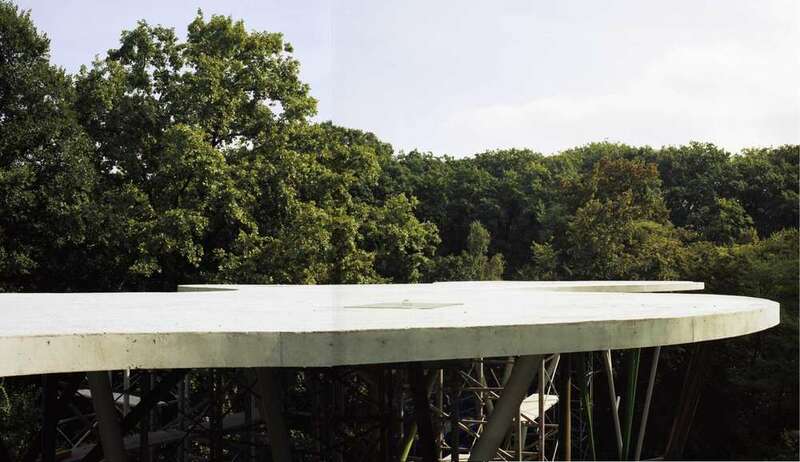 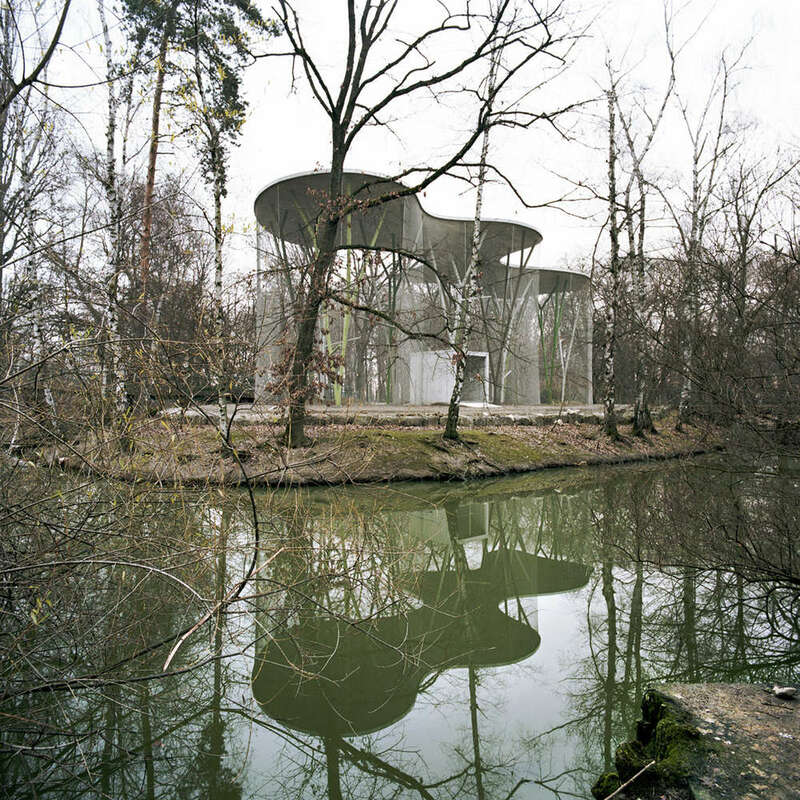 The aviary was integrated into its host environment by two main elements: a roof shape, inspired by the site’s morphology, interacting with the crowns of surrounding trees and a tree-like structure supporting the reinforced concrete slab. 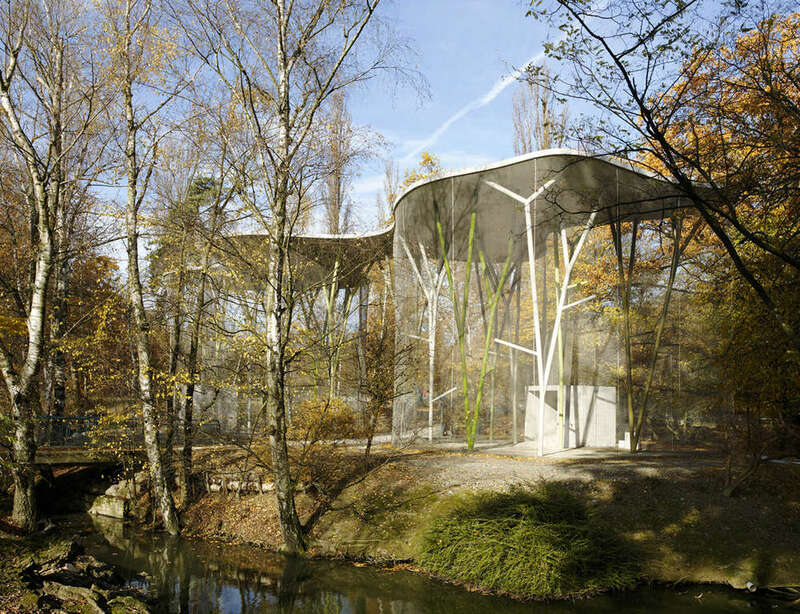 The roof shape creates the general volume of the aviaries that are enclosed by supple metal netting encompassing the organic shapes of the concrete area. 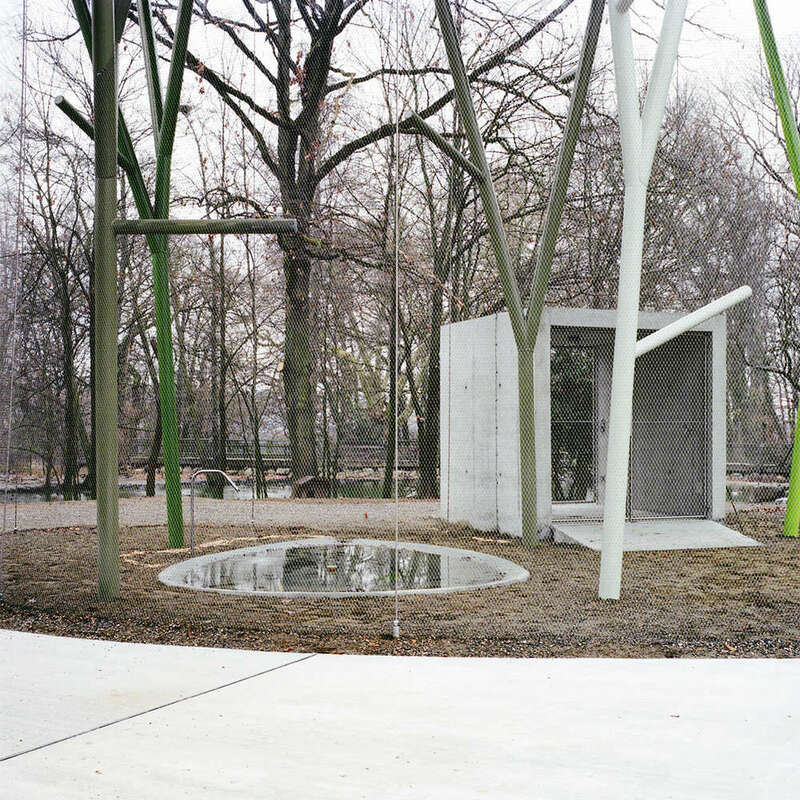 Each of the sixteen pillars constituting the structure is independently designed, its form inspired by the trees surrounding the aviary.